HOW TO TAKE YOUR OWN PHOTO FOR A HOLIDAY CARD | CRAZY LIFE WITH LITTLES - Lifestyle, Travel Motherhood Blog This blog uses affiliate links. For more information refer to the Disclosure page.This post may contain affiliate links. Refer to the Disclosure page for more information. Doesn’t it seem like when the holidays hit your to-do lists grow by a mile and the calendar gets full of holiday parties, your kid’s school shows, shopping, and appointments for family photos?! While I think it’s great to have family photos professionally done every once in a while, there’s really no need to stress yourself out if there just simply isn’t the time. Besides not having extra time to carve out in your hectic holiday schedule, you may not want to spend the extra $$$. I get it. Today I’m going to share a few tips on how to take your own photo for a holiday card! Being a mom blogger means I take a few extra photos of my kids than the usual mom probably so I have some tricks to share. There are so many different holiday photo ideas swarming around Pinterest. Find something reasonable you can handle. Do you want your kids in their best holiday style or will their cutest Christmas jammies do? Pick your location! If you want to take your photo outside, the best time to do it would be late afternoon. That golden hour before sunset makes for a really pretty photo. If you plan to shoot inside, find a bright, well-lit area that gets lots of natural light. If your home doesn’t get a ton of natural light, these lights are my favorite to use and quick to set up, small enough to store away. Then clear the area of clutter. Have a few props, but including too much can get distracting. Kids can move quickly. If you want them to stay still, give them a small toy or book. You can definitely use your cell phone cameras for this photo as they’ve really come along way with quality. I prefer to use a DSLR (this is a great starter camera if you don’t have one.) only because I can increase my shutter speed to accommodate my quick moving kids. The most important thing is to relax and just keep shooting! My camera cards are filled with 100s of shots and I may only like 5-6 of them. Totally normal! Chances are your photo is going to need a little editing. I edit all my photos in the Lightroom app on my phone. Check out the video below for a quick tutorial. Play around with exposure/brightness and temperature. After all is said and done, head to Shutterfly to pick and print your favorite card! Shutterfly has been my favorite source for holiday cards, photo printing, and personalized books for years. There are so many card templates that are super easy to use. Import your photo, personalize with special greeting and/or family names and print! I just love the way our card turned out this year using a my own photo I took right at home. 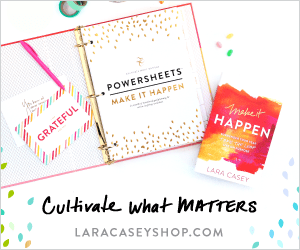 Shop Cards & Stationery at Shutterfly! Shutterfly also has some amazing gift options for family members. Give a photo book to grandparents that they’ll treasure forever. 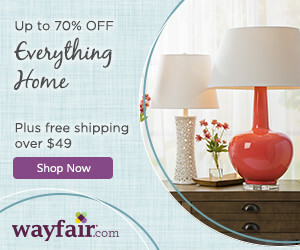 Shop Photo Books at Shutterfly! So many great tips here! Your photos are adorable! We love Shutterfly!